EVERETT, Wash. – The Everett Silvertips (@WHLSilvertips) announced in conjunction with the Western Hockey League that goaltender Mario Petit (Peh-TEE) has been named WHL Goaltender of the Week for his performance ending Mar. 27. Petit has been nominated for the Vaughn CHL Goaltender of the Week award. 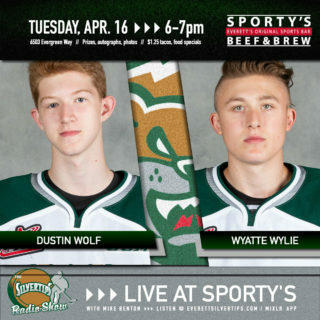 Petit, 18, helped guide the Silvertips to back-to-back playoff wins to open their first round series against the Portland Winterhawks last week with a 2-0 record, one shutout, a .981 save percentage, and 0.50 goals-against average. He recorded 53 saves on 54 shots in that span. In a 3-0 shutout victory over Portland in game one, the 5-foot-11, 190-pound goaltender was named first star of the game and became the second netminder in Silvertips history (first since Leland Irving in 2005-06) to record a shutout in his WHL Playoff debut. 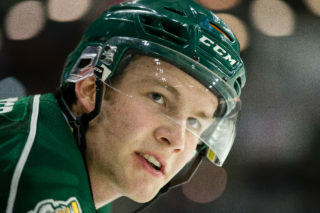 Petit followed up with a 24-save effort in game two on Saturday, a 3-1 Silvertips win, and held Portland scoreless over the final 57:54 of play. 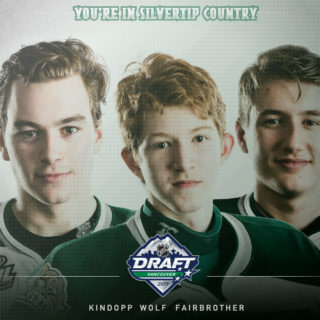 Petit, in his first WHL season, registered a 3-3-4 record, 2.80 goals-against-average and .883 save percentage in 15 appearances with the Silvertips. 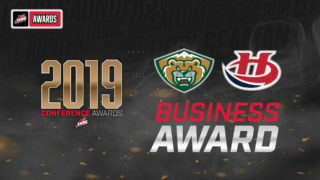 For more information visit www.everettsilvertips.com or call 425-252-5100. 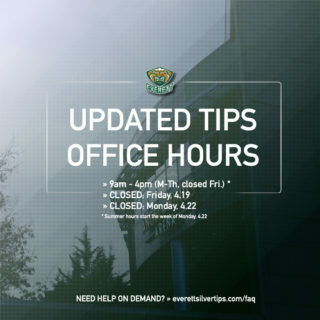 To keep up with all the latest team news and information, “like” the Everett Silvertips Hockey Club on Facebook or follow @WHLSilvertips on Twitter or its official Instagram account.